avoiding unscheduled downtime as these machines do what they were built for - the reliable shredding of material. The QR1700 is a heavy-duty shredders and was developed for palette producers and the wood working and processing industries with a throughput of up to 30 loose cubic meters. Different screen diameters between 12 and 100 mm produce homogeneous and easily conveyable chips for thermal utilisation (wood chip combustion) or briquetting. access to the cutting chamber for the efficient emptying of the hopper and removal of foreign objects. 3-years no-worries warranty* for all UNTHA wood shredders! 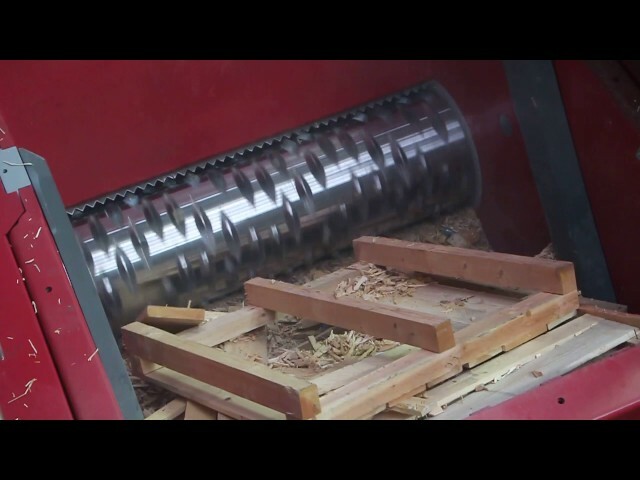 Industrial wood grinder for pallets etc.